WELCOME BACK TO YOUR SUPERCHALLENGE OF MONTREAL. THIS YEAR AGAIN, PLAY AGAINST THE BEST TEAMS COMING OUT FROM EVERYWHERE IN NORTH AMERICA !WELCOME BACK TO YOUR SUPERCHALLENGE OF MONTREAL. THIS YEAR AGAIN, PLAY AGAINST THE BEST TEAMS COMING OUT FROM EVERYWHERE IN NORTH AMERICA !WELCOME BACK TO YOUR SUPERCHALLENGE OF MONTREAL. 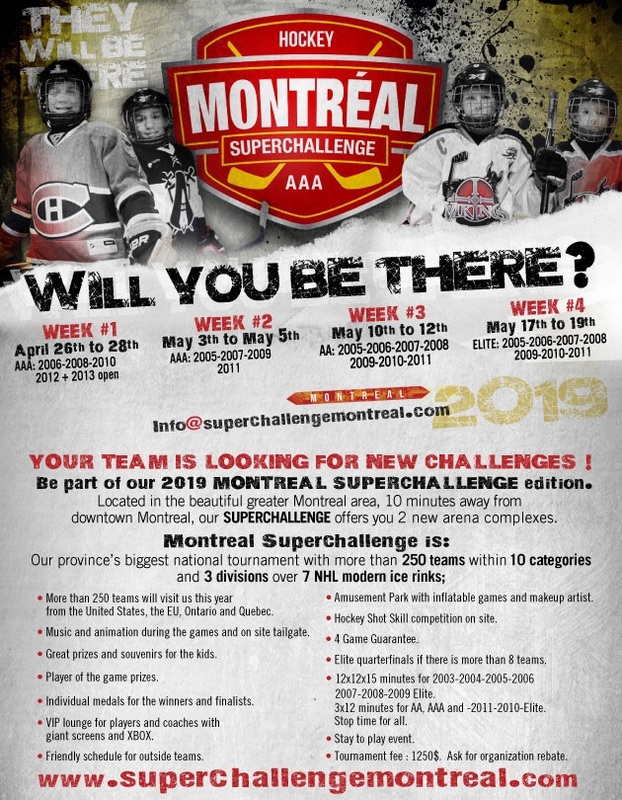 THIS YEAR AGAIN, PLAY AGAINST THE BEST TEAMS COMING OUT FROM EVERYWHERE IN NORTH AMERICA !WELCOME BACK TO YOUR SUPERCHALLENGE OF MONTREAL. THIS YEAR AGAIN, PLAY AGAINST THE BEST TEAMS COMING OUT FROM EVERYWHERE IN NORTH AMERICA !WELCOME BACK TO YOUR SUPERCHALLENGE OF MONTREAL. THIS YEAR AGAIN, PLAY AGAINST THE BEST TEAMS COMING OUT FROM EVERYWHERE IN NORTH AMERICA !WELCOME BACK TO YOUR SUPERCHALLENGE OF MONTREAL. THIS YEAR AGAIN, PLAY AGAINST THE BEST TEAMS COMING OUT FROM EVERYWHERE IN NORTH AMERICA !WELCOME BACK TO YOUR SUPERCHALLENGE OF MONTREAL. THIS YEAR AGAIN, PLAY AGAINST THE BEST TEAMS COMING OUT FROM EVERYWHERE IN NORTH AMERICA !WELCOME BACK TO YOUR SUPERCHALLENGE OF MONTREAL. THIS YEAR AGAIN, PLAY AGAINST THE BEST TEAMS COMING OUT FROM EVERYWHERE IN NORTH AMERICA !WELCOME BACK TO YOUR SUPERCHALLENGE OF MONTREAL. THIS YEAR AGAIN, PLAY AGAINST THE BEST TEAMS COMING OUT FROM EVERYWHERE IN NORTH AMERICA !WELCOME BACK TO YOUR SUPERCHALLENGE OF MONTREAL. THIS YEAR AGAIN, PLAY AGAINST THE BEST TEAMS COMING OUT FROM EVERYWHERE IN NORTH AMERICA !WELCOME BACK TO YOUR SUPERCHALLENGE OF MONTREAL. THIS YEAR AGAIN, PLAY AGAINST THE BEST TEAMS COMING OUT FROM EVERYWHERE IN NORTH AMERICA !WELCOME BACK TO YOUR SUPERCHALLENGE OF MONTREAL. THIS YEAR AGAIN, PLAY AGAINST THE BEST TEAMS COMING OUT FROM EVERYWHERE IN NORTH AMERICA !WELCOME BACK TO YOUR SUPERCHALLENGE OF MONTREAL. THIS YEAR AGAIN, PLAY AGAINST THE BEST TEAMS COMING OUT FROM EVERYWHERE IN NORTH AMERICA !WELCOME BACK TO YOUR SUPERCHALLENGE OF MONTREAL. THIS YEAR AGAIN, PLAY AGAINST THE BEST TEAMS COMING OUT FROM EVERYWHERE IN NORTH AMERICA !WELCOME BACK TO YOUR SUPERCHALLENGE OF MONTREAL. THIS YEAR AGAIN, PLAY AGAINST THE BEST TEAMS COMING OUT FROM EVERYWHERE IN NORTH AMERICA !WELCOME BACK TO YOUR SUPERCHALLENGE OF MONTREAL. THIS YEAR AGAIN, PLAY AGAINST THE BEST TEAMS COMING OUT FROM EVERYWHERE IN NORTH AMERICA !WELCOME BACK TO YOUR SUPERCHALLENGE OF MONTREAL. THIS YEAR AGAIN, PLAY AGAINST THE BEST TEAMS COMING OUT FROM EVERYWHERE IN NORTH AMERICA !WELCOME BACK TO YOUR SUPERCHALLENGE OF MONTREAL. THIS YEAR AGAIN, PLAY AGAINST THE BEST TEAMS COMING OUT FROM EVERYWHERE IN NORTH AMERICA !WELCOME BACK TO YOUR SUPERCHALLENGE OF MONTREAL. THIS YEAR AGAIN, PLAY AGAINST THE BEST TEAMS COMING OUT FROM EVERYWHERE IN NORTH AMERICA !WELCOME BACK TO YOUR SUPERCHALLENGE OF MONTREAL. THIS YEAR AGAIN, PLAY AGAINST THE BEST TEAMS COMING OUT FROM EVERYWHERE IN NORTH AMERICA ! HOCKEY SPRING IS BACK AT MSC !